Catch one, eat one. Is there a deliberate dumbing-down going on in the traditional angling conservation Dot-Orgs? Bob Mallard is from Maine and like that state’s currently most famous person, Senator Susan Collins (R), no one gets to tell him what to think, what to say or what to believe. You may not always like what either has to say or their opinion on any particular part of a subject, but their positions seem never to be built on political expediency, bribery, lies, alternate reality, nor are they Twitter triggered late at night, and they mean what they say, at least Bob does. Bob Mallard – Native Fish Coalition. We know of Bob Mallard because he’s an outspoken conservation minded fly fisher, and been so branded for the last 40 years. He’s also owned a fly shop for several of those years and still is a registered Maine fishing guide. He’s also a published author, blogger and as already mentioned an outspoken conservationist. Currently, he is a native fish advocate and serves as National Vice Chair of Native Fish Coalition (NFC) and a board member of the Maine chapter of Native Fish Coalition. He’s both passionate and schooled on the subject. For many others, it merely means ‘indigenous’ or ‘historically present.’ In other cases, people misuse and confuse terms wild and native-like referring to wild landlocked salmon from Moosehead as native even though they were not historically present in the water in question. 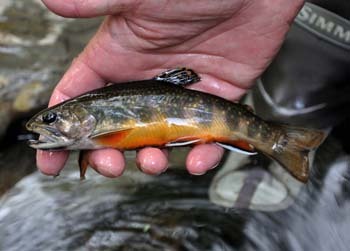 Most brook trout found in Maine are technically native, even if they have been stocked over or are of stocked origin. Secondly, IFW appears to be moving away from these terms in favor of Heritage and non-Heritage—and many think the latter means stocked. However, as noted before, many waters that meet the Heritage requirements were omitted from the list for turf war reason among the players involved in state managed waters, and for social reasons—that is to protect inter-species stocking programs, usually salmon over brook trout, and the active use of live bait, mostly associated with ice-fishing. The NFC and Mallard view their concerns farsightedly, which as many of us know some well meaning conservation dot-orgs have unwittingly boxed themselves in by projecting a myopic view of their causes. Why? Because there are many federal and state fisheries issues and fisheries decisions that profoundly affect the public’s outdoor experience now and long into the future via agency counter productivity, inter-agency turf wars, and the one-hole odor out-house of social media played out by manipulating it. Too, the current administration is on a scorched earth policy with regard to public lands and the environment by dismantling popular safeguards to health and the environment with clean air and water regs, and allowing extractors to ride free with regard to being held financially responsible for disasters. BP could now pretty much pay a small fine, make a donation out of good heartedness, say they’re sorry, and move on. Maine is a beautiful state, a sportspersons paradise from offshore to inland, from pond to pond, lake to river and mountains to surf. It’s almost a perfect microcosm of our national issues as it relates to fisheries and understanding just what is wildlife and why do outdoor sanctuaries matter, like public lands it houses (More than 500,000 acres). And Katahdin Woods and Waters National Monument spanning 87,563 acres of mountains and forestland in northern Penobscot County, Maine. It includes a section of the East Branch Penobscot River. The monument is located on the eastern border of Maine’s Baxter State Park. In Maine, voters tend to think in black and white, so their assessments on issues are usually well defined – as they “each” see them. Logic or doing the next right thing isn’t always part of voters’ thinking. The Native Fish Coalition is a nonpartisan, grassroots donor-funded, non-profit organization. 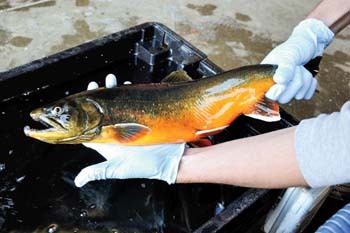 It is dedicated to the conservation, preservation and restoration of wild native fish. 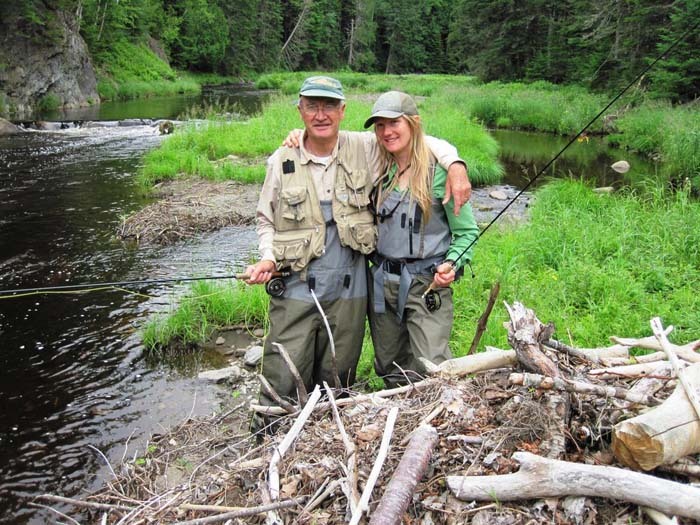 While most of our members are avid fly fishers, our focus is not limited to so-called “gamefish.” We are however primarily – but not exclusively – focused on salmonids. The reason for this is twofold. Salmonids are often the species that are most threatened. 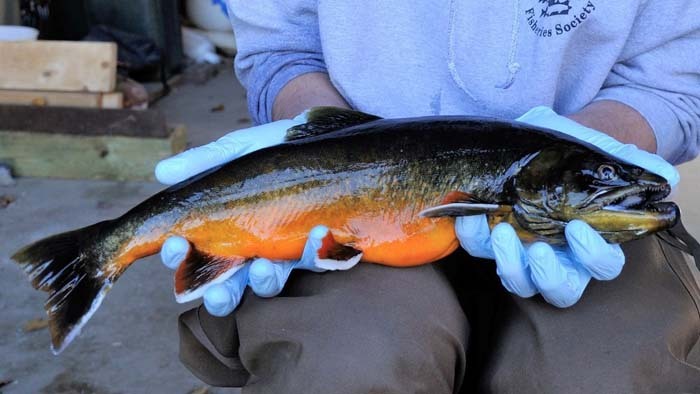 What is good for these native “indicator species” is good for all native fish. Learn more about the Native Fish Coalition . . . 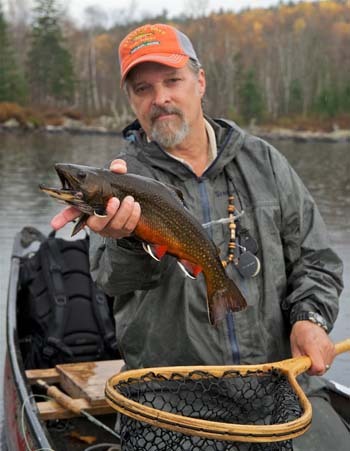 Featured Image Bob Mallard with a native Maine pond brook trout. Mallard photo.